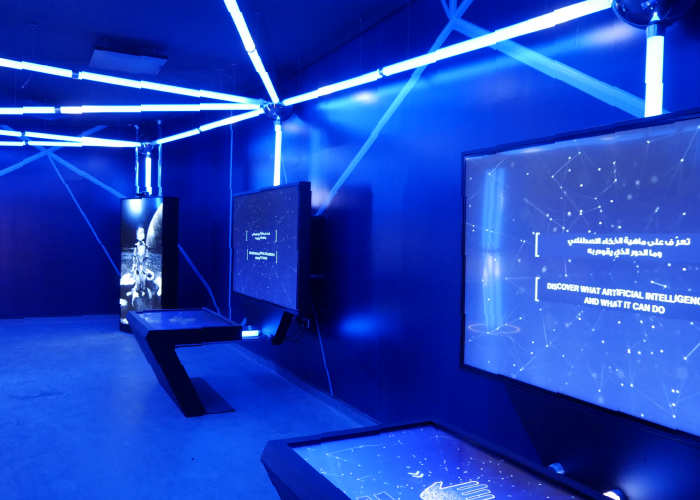 The Oasis Technology Center included 3 mains exhibition halls with interactive and immersive audio visual presentations focusing on modern technologies such as artificial intelligence Biotechnology DNA mapping and aspirational technologies in Nano sciences, future power sources, transport, and medicines related to recent breakthroughs in the treatment of diseases. LT-Projects were recommended to Sarner International as specialist interactive and immersive technology Media Consultants and were brought on-board to manage the technical planning, procurement and install of the Interactive and Audio Visual show control systems throughout the exhibition. Working closely with FrozenFishDesigns (FFD) and Sarner International and One small pixel; LT-Projects developed the technical and conceptual framework for the delivery of the media throughout the exhibition. developing the methods best suited Sarners aspairations including interactive technologies, large screen video and multitouch interaction, including the show control throughout, lighting, audio playback and projection mapping. 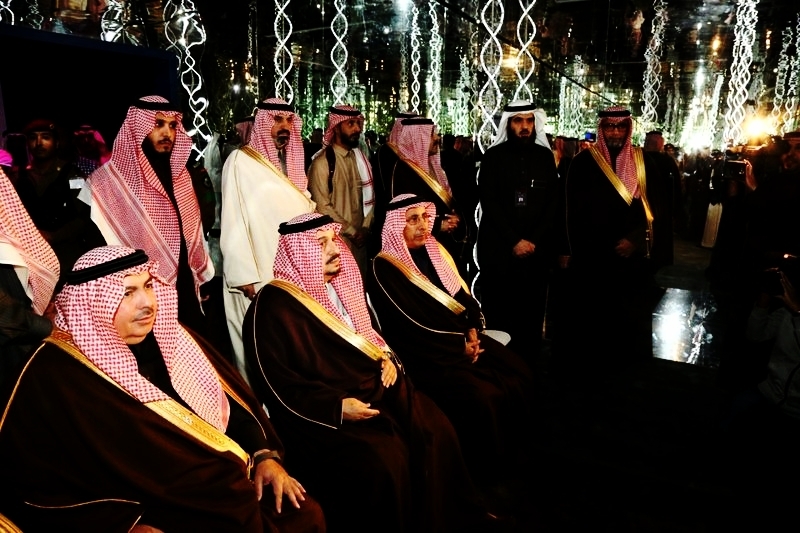 The project was opened by Prince Faisal bin Bandar bin Abdul Aziz, Governor of Riyadh early 2018. This zone included Full human scale interactive Bots, neural lighting matrix, and a number of Ultra high definition touch interfaces delivering audio visual content to groups of up to 30 people at a time. Madrix LED lighting control systems, Ultra High definition touch interfaces, intreractive camera based motion tracking systems, bespoke designed furniture. 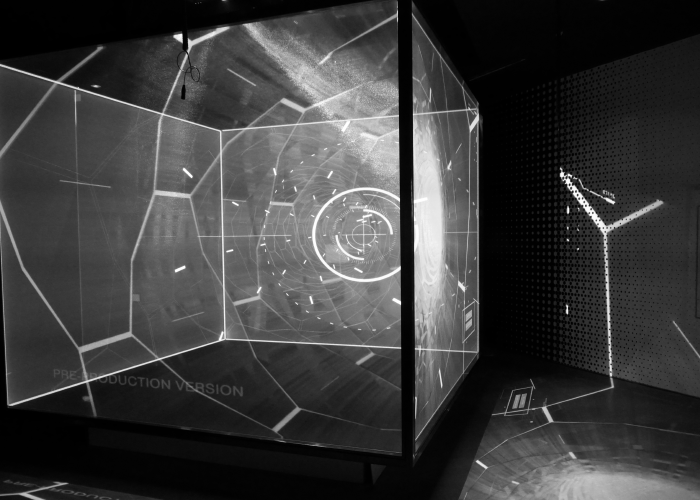 Zone 2 was a fully Immersive show presentation within an infinity room of reflective panels and incorporating bespoke DNA lighting sculptures in an Audio Visual Show showcasing cutting edge developments in biotech sciences. Zone 2 of the exhibition included a fully automated show playback system with a 8K video wall, bespoke feature LED DMX lighting controlled DNA sculptures, immersive JBL audio playback system. This Zone's centrepiece was a 4m square holographic projection Cube with Ultra High definition content communicating the future of nanotech health sciences, Renewable power sources , and transport. Including a number of beautifully fabricated exhibits by FFD in lightboxes and a High Fidelity audio system presented as a fully automated and immersive show experience. Zonal audio playback, lighting control & Ultra high definition video playback using Panasonic laser projection with ultra short throw lens tech. The video playback projection mapped onto specialist holographic gauze. Fully automated over DMX and video show control platforms. FFD fabricated the cube's outer framework under instruction from LT-Projects who specified the media playback system and projection solution. The show control via a bespoke wall mounted touch interface. Other elements by LT-P included interactive software development in C++, touch activated video playback, and lighting control systems.